With Tax Day quickly approaching, taxpayers can find a long and growing list of how Uncle Sam is spending/wasting their hard-earned money. The United States Postal Service (USPS) claims to not be on that list, despite a recent watchdog report showing that the agency reaps more than $3.6 billion each year in indirect taxpayer subsidies. And every year, the organization that describes itself as using “zero tax dollars” accumulates larger losses. The USPS most recently reported a $1.5 billion net loss for the first quarter of fiscal year 2019, driven by declining mail revenues and soaring delivery costs. According to a recent report by the inspector general (IG), transportation costs have risen by 18 percent over the past ten years, despite mail volume declining 26 percent and service standards being relaxed. Unless the USPS can get a grip on cost drivers (pun intended) and enact fundamental reforms, taxpayers across the country will have to pay more for the agency’s shortcomings. According to the IG, some of the surge in transportation costs is beyond the agency’s control. Rising fuel costs and rising trucker contract wages have, after all, gripped many industries. But the USPS’s mail mix, which has included more heavy packages over the past decade, is likely to blame for at least 15 percent of the increase in transportation costs since 2008. This heavier toll on USPS infrastructure may be worth it, if package prices can recoup the infrastructure and labor costs that go into delivery. But thanks to requirements set by the Postal Regulatory Commission (PRC), the USPS only need assume that “competitive products” such as packages make up 8.8 percent of total delivery wear-and-tear costs. That’s setting the bar quite low, at a time when the USPS is making all sorts of investments into package-centric technologies. Less than 10 percent of depreciation costs for portable scanners are attributed to competitive items such as packages, despite the USPS’s purchase of these devices specifically to facilitate package deliveries. 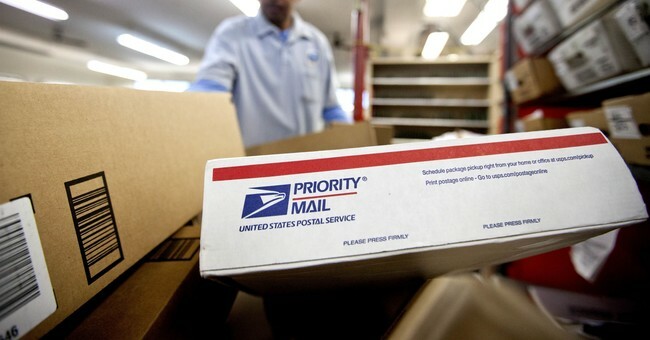 In all, competitive products comprise 45 percent of USPS's volume by weight, but less than a quarter of all wear-and-tear costs are attributed to this service line. In other words, the price is not right, and net costs are soaring as a result. The problem of cost control, though, extends far beyond package pricing. The USPS increasingly contracts out “middle-mile” deliveries (i.e. the trip from a mail processing center to a Post Office) to truckers, who often erroneously bill the USPS for services not rendered. The IG has estimated that hundreds of thousands of “chargeable irregularities” take place per year, yet facilities often fail to try to get their money back from contractors who deliver late or use unacceptable equipment. But strangely enough, contractor shenanigans and mail mix aren’t even the largest cost contributors to burgeoning transportation costs. According to the IG, an astounding 39 percent of the cost increase is “unexplained.” Whether this is the USPS further underestimating package costs or something else, we may never know. But it’s difficult for anyone else other than the USPS to play around with the numbers, since so much of the underlying information isn’t available to the public. For example, the percentage of parcels that go through the “middle-mile” (as opposed to just being dropped off by an e-commerce company to a Post Office for delivery) remains redacted. By bringing this information into the public eye, the agency can let independent researchers systematically examine the USPS’s issues. The USPS must also work with the PRC to get package prices to reflect actual costs, and thoroughly monitor contractor costs. Only then can the USPS actually take itself off the list of agencies jockeying for funds on Tax Day.